You are here: Home / Advertising / Should You Use an Advertising Agency or Buy Your Own TV Media Time Direct? Buying TV media time direct may seem like a good idea. You can save the 15% advertising agency commission and a lot more than that if you end up with an unscrupulous advertising agency that substantially marks up the media time and then charges a commission on top of that. The truth is that buying your own TV media time is a huge mistake which can have long-term consequences preventing you from using an advertising agency when you finally decide to. Buying your own TV media time is equivalent to your client being his or her own lawyer trying to settle their injury case. Not only does managing an advertising campaign require experience, knowledge, relationships and services you don’t have, but it is far more work than you think, requiring time you don’t have. 1 What’s Involved in Buying Media Time and Managing an Advertising Campaign? 3 Should You Call TV Stations to Compare Rates with an Advertising Agency? What’s Involved in Buying Media Time and Managing an Advertising Campaign? An advertising agency will have access to expensive research and monitoring services such as Nielsen Media Research or CMR. 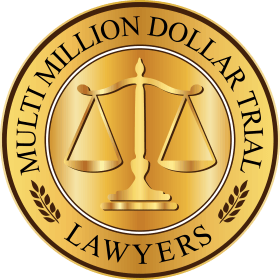 An advertising agency will periodically research all lawyers advertising in your TV market to determine which TV stations and programs competing lawyers advertise on; how many commercials they air per month on each TV station; and the amount they spend for each commercial. You probably thought you should advertise where there is less competition, but a good advertising agency knows that you want to be where the competition is. A good advertising agency will not only have the knowledge and experience to choose the right stations, TV shows, days and times for your particular advertising goals, but will also do all of the scheduling work in a changing environment. TV stations periodically change TV shows and times; ratings and prices are always changing; elections and large short-term advertising campaigns can significantly increase costs. A media buyer must plan ahead and constantly stay on top of scheduling. An advertising agency will monitor your advertising campaign to make sure that your TV spots are run when they are supposed to. The advertising agency will periodically analyze results to determine if expectations are being met and whether scheduling changes need to be made. Relationships with media sellers are important. 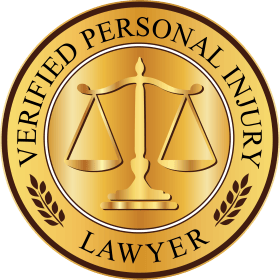 A personal injury lawyer will understand that relationships with insurance claim representatives and defense attorneys are valuable to the ability to settle a personal injury case. Likewise, media buyers who have relationships with media sellers can get valuable concessions such as lower rates and more free bonus spots than you will get, if you even get any on your own. What’s a bonus spot? Bonus spots are commercials that you get for free. Every station has unsold time and since they can’t run 30 seconds of a blank screen, they insert someone’s commercial for free. 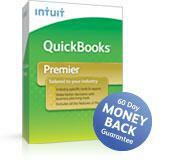 Obviously, bonus spots are valuable and are doled out to the advertising agencies that give them the most business. If you choose to buy your own TV media time for your law firm, assuming you have the knowledge, experience and relationships, you will have to do all of this work yourself. It’s hard to imagine many lawyers who have the extra time to do all this. When you call a TV station directly, your account will be given to a salesperson whose job is to sell media time on only one TV station. The salesperson at a TV station will not provide you with advertising agency services, except to produce an inexpensive and ineffective TV commercial to get you on the air. Media salespeople are usually more interested in commissions that in your success. For instance, an outdoor media salesperson will try to talk you into billboards without regard to whether your also on TV or radio. When you cancel your contract six months later because it’s not working, they’ll just sell to someone else. When you call a TV station to purchase your own media time, you will be quoted a retail rate while an advertising agency will be quoted a wholesale rate. Any advertising agency should be able to purchase media time at least 15% less than you can. A good advertising agency will do even better. Like using a travel agent, you will get advertising agency services for free. With a good advertising agency, not only will you get the services for free, but you will pay even less for the media time. When negotiating the price for TV spots, you are at a substantial disadvantage because you do not purchase media time every day. 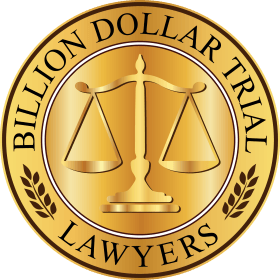 As a lawyer, you do not know how much you should pay for different TV spots; whether you can get free bonus spots; or how many. A 30 second spot is not the same as any other 30 second spot. There are many differences affecting the value, too many to mention here. Imagine allowing a personal injury client to negotiate a settlement for his or her own case. 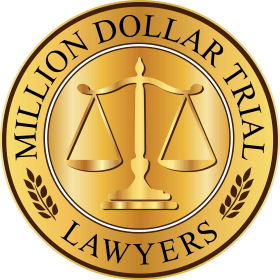 Hopefully, you have decided by now to have an advertising agency create a TV advertising campaign for your law firm and do your media buying. Should You Call TV Stations to Compare Rates with an Advertising Agency? Again, that would be a mistake. When you call a TV station, you will be assigned to a sales representative who will quote you a retail rate. When you later call an advertising agency, the media buyer at the advertising agency will call the TV station and speak to a different sales representative who deals with advertising agencies and will quote a wholesale rate. Now, the TV station has a problem. There are two sales representatives fighting for the same account. One quoted a retail rate, while the other quoted a wholesale rate. Which sales representative do you think will get the account? A lawyer who wanted to advertise with 1-800-HURT-911 called a TV station to get a quote. Six months later, the lawyer decided to begin advertising but didn’t have the time to deal with it and decided to call an advertising agency. The TV station had a record of the lawyer calling six months earlier and would not sell TV media time to the advertising agency. They told the agency to tell the lawyer to call the station. The lawyer was forced to deal directly with the TV station.